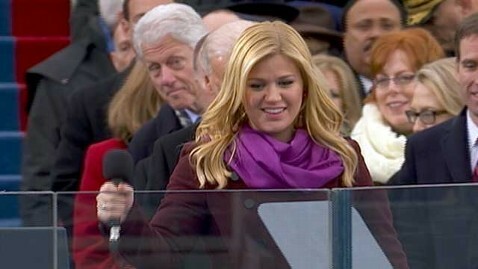 Kelly Clarkson did not lip-synch during her Inaugural Ceremony performance of “My Country, ‘Tis of Thee” on Monday. In the wake of the revelation that Beyonce decided at the last minute to sing the national anthem to a pre-recorded track, questions were raised about whether Clarkson’s own patriotic performance was lip-synched. But a rep for the onetime “American Idol” winner says Clarkson sang live. A spokesperson for the United States Marine Band also said on Tuesday that the band played their instruments live, contrary to some media reports. Recording the ceremony’s music ahead of time is standard procedure, given the wide range of circumstances that could pose problems for performances during the program.